This is the only true artist quality water soluble oil range available in SA- it is in a league of its own. 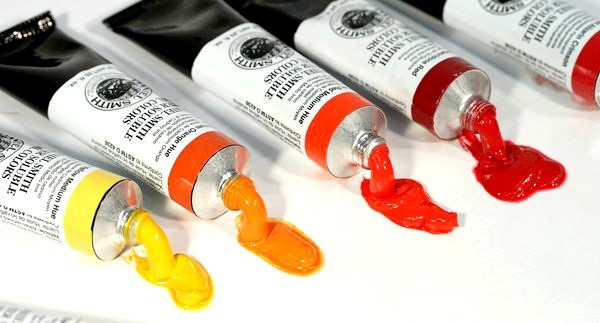 If you love the feel, control, and rich appearance of classic oil paints, but don't like the toxic solvents and tedious clean up, you will want to try our fantastic new paints. Vibrant, highly pigmented colours offer outstanding colour strength, even when mixed with Titanium White. All colours offer uniform drying times, buttery consistency, excellent brushing, and a beautiful surface appearance. Made in our Seattle manufacturing facility from the highest quality raw materials, they have the most finely ground pigments in any colour line. DANIEL SMITH Water Soluble Oil Colours can be thinned with water. Brushes and palettes clean up easily with soap and warm water. These new oil colours are made with the same quality and care as our Original Oil Colours but with a specially modified linseed oil binder. Students and teachers in schools and colleges where the use of oil colour is prohibited because of solvents. Artists working in a shared studio space where the build up of solvent levels could lead to a harmful concentration of vapours and an unpleasant odour.